I’ll be the first to admit that when a “live-action” version of Disney’s The Jungle Book was announced, I really wasn’t interested. Even when they said Jon Favreau was directing, I just didn’t care. I mean, the original 1967 version is a classic for a reason. The beautiful animation, the charismatic voice acting, and the songs… the songs are some of the best in classic Disney history. So, while the recent Alice in Wonderland, Maleficent, and Cinderella went straight live-action – we’ll just ignore The Sorcerer’s Apprentice – and made decent cash in doing so, Favreau and company did something different. I mean, they kind of had to. 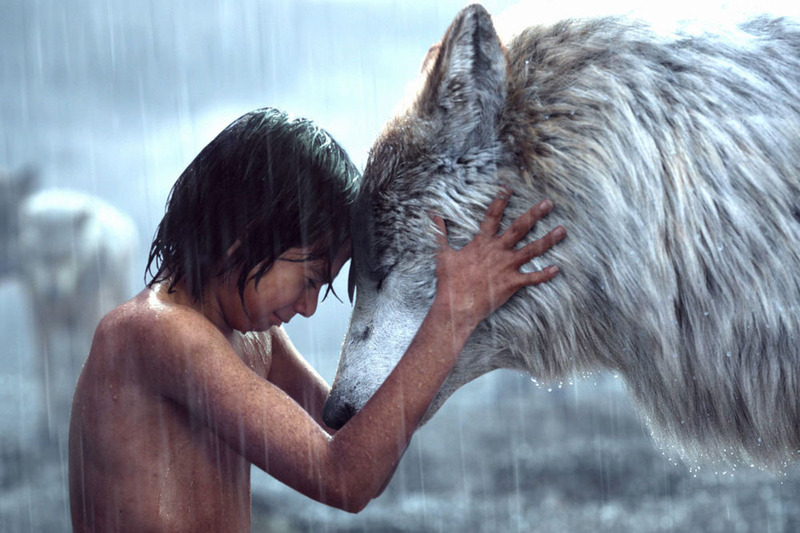 The Jungle Book only has one human character in it and everybody else is a talking animal. And that means, CG. Lots of CG. So taking inspiration from Avatar, Disney went all-in with the CG, creating not just the creatures and amazing set-pieces, but an entire world. This is what is truly amazing about this production. Nearly every single thing you see on-screen is digital animation, and it is practically flawless. Every blade of grass, every leaf on every tree, every hair on every wolf, every scar on Shere Khan is perfect. Okay, there are one or two places where the green screen was obvious, but maybe only twice in the entire film. For everything else, Neel Sethi‘s Mowgli may as well be interacting with a real Indian jungle. And when you’re able to digitally create every scene, you’re no longer dependent on the weather, on trying to get shots captured while there’s still light, on finding the perfect location, on getting your equipment to that amazing hard-to-reach location, or on making sure that there are no on-screen flubs (planes in the sky, unnoticed cars in backgrounds, wrist watches, etc.). But if it were that easy, The Amazing Bulk would have been better, right? Sethi is perfectly cast as Mowgli. He has an innocent energy that lights up the screen and he nails every single emotional beat he’s tasked with performing. At the same time, the supporting voice cast is every bit as amazing. 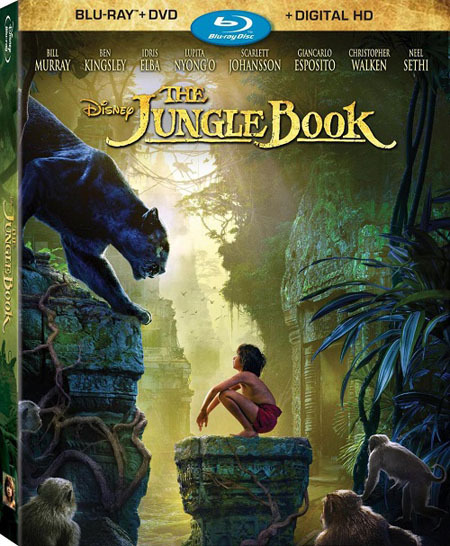 Ben Kingsley brings exactly the right level of gravitas and frustrated concern to Bagheera, and when Bill Murray enters the picture, bringing Baloo’s casually lackadaisical approach to life in direct conflict with Bagheera’s concerns for Mowgli’s survival, it’s a match made in heaven and seriously rivals the chemistry of Sebatian Cabot and Phil Harris. Then, on the darker end of the spectrum, Idris Elba‘s Shere Khan drips with menace and should be terrifying to smaller children, while Christopher Walken is magical as the gigantopithecus, King Louie (since there aren’t really any orangutans in India, why not substitute with a last-of-his-kind ancient creature?). To be honest, there’s not an off performance in the entire film. Lupita Nyong’o and Giancarlo Esposito as Mowgli’s adopted parents Raksha and Akela walk the delicate tightrope of trying to defend their mancub and doing what will be best for the pack. The late, great Garry Shandling is delightful in a cameo as Ikki the Porcupine (taken from the Kipling original) and Favreau teams up with Sam Raimi to voice the Pygmy Hog and the Giant Squirrel. If I had any complaints, I’d say Scarlett Johansson could have added a little more slithery seductiveness to her gender-flipped Kaa, but that’s really picking at nits. Favreau knocked it out of the park with this one from just a technical standpoint, from the beautiful opening sequence that moves from traditional layered cel animation to the photo-realistic CG of the jungle (with a brief homage to the Bambi’s forest), to the simply amazing moment where Mowgli says goodbye to his mother and runs his fingers through her fur, to the end when the original Jungle Book book – the one that opened the original cartoon – makes a return to close out the film and introduce the credits. This is clearly a labor of love for everyone involved and is perhaps the most impressive piece of CG art that I’ve ever seen. 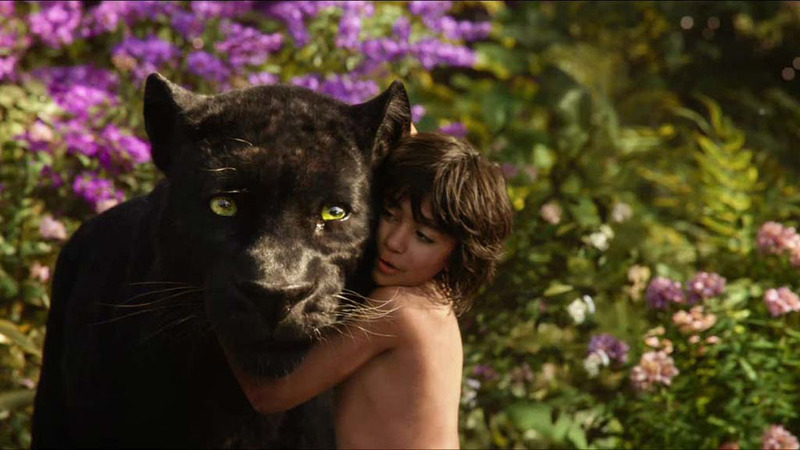 As far as the story goes, it’s a very modern adaptation of The Jungle Book. Most of the troublesome racial/social politics of Disney’s original cartoon are removed from this version of the story, as are most of the imperialism/colonialism/racism of Kipling’s original stories. Instead of embracing racial segregation or becoming superior to both the jungle and the Indian world, this Mowgli is about embracing our differences and reinforcing the idea of community as family. 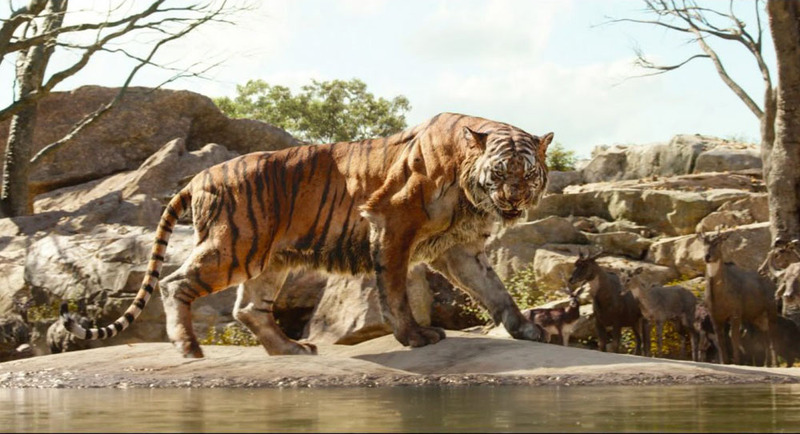 This is driven home pointedly as Favreau and company change the ending, with Mowgli choosing to stay in the jungle with his friends and family after abandoning the “red flower” that would elevate him above the animals and defeating Shere Khan through his wits and simple technologies. The Jungle Book Reimagined (35:02): Director Jon Favreau, Producer Brigham Taylor, and Visual Effects Supervisor Robert Legato discuss the making of The Jungle Book in great detail, going into the specifics of trying to find the right balance between the classic 1967 cartoon and the Kipling source material. There’s a lot to like here as we get subtle references to other films alongside behind-the-scenes looks at every stage of the filmmaking process, from storyboarding to motion capture filming to actual performances to the digital construction of an entire world. 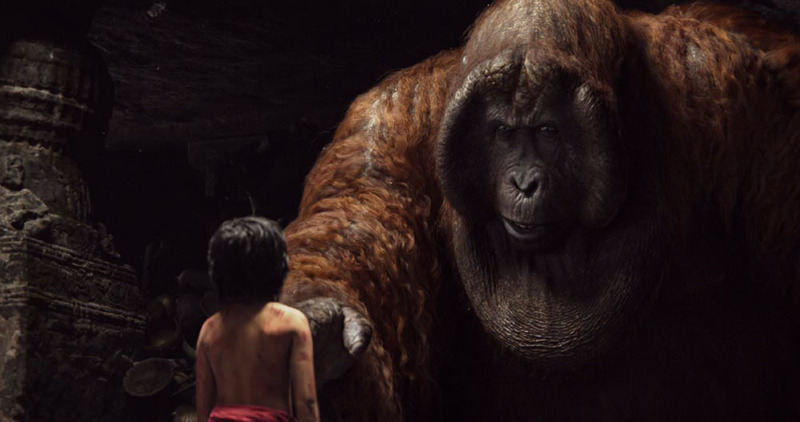 The challenges involved with making this film were immense and Favreau dove in headfirst, bringing in cinematographer Bill Pope and even getting original Jungle Book songwriter Richard Sherman to contribute some new lyrics for King Louie’s iconic “I Wan’na Be Like You.” In addition to the production info, there’s also a healthy dose of casting details. All in all, this is a pretty thorough look at the making of the film and is highly recommended. I Am Mowgli (8:18): Let’s be honest. 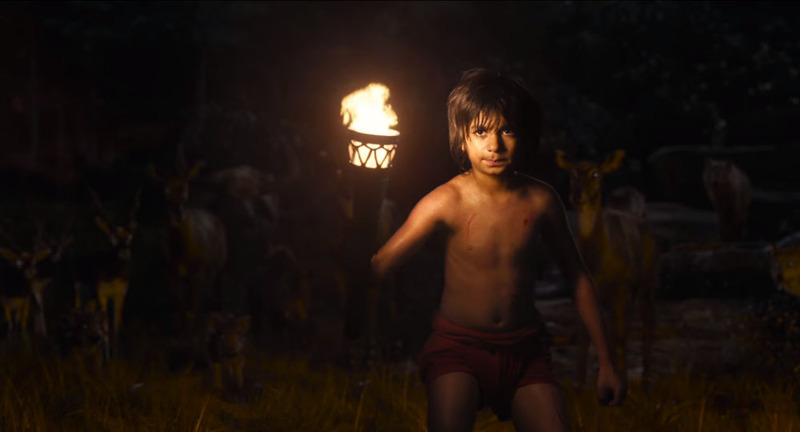 This film, while gorgeous from an effects standpoint, lives or dies on the casting of Neel Sethi as Mowgli. This kid is amazing and this short feature takes a look at both how he got the job and at his fantastic performance. King Louie’s Temple: Layer by Layer (3:14): With a name like that, I thought this was going to be a look at the digital effects work in the temple scene. Instead, it’s more about the putting together of the song and working it into the film. Still interesting, though. Audio Commentary: Jon Favreau is really, really good at this. Well worth a listen.